Are you in the midst of holiday madness? Chances are you are. As a result, there are many things that go by the wayside, including keeping up with the latest important health headlines”or other news. If you’ve missed some of the latest developments, here are a few important stories just in case you’re craving some health information or need something interesting to discuss at one of your upcoming holiday parties. Knowing that you’re at a high risk of breast cancer can make you feel like a ticking time bomb. While some women opt for prophylactic mastectomies, the option is not desirable or suitable for others. What if you could take a pill instead? 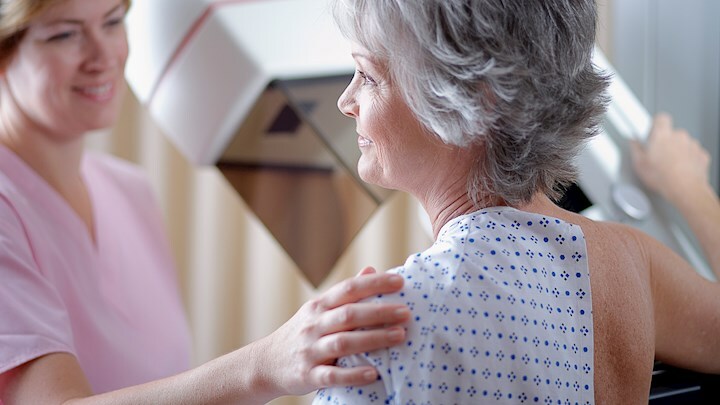 A five-year study published in the journal Lancet has found that for women at high risk of developing breast cancer, the drug anastrozole (Arimidex) may help. Half of 4,000 postmenopausal women studied took 1 milligram every day, while the other half took a placebo. The findings were encouraging: after five years, 40 of the women who took the anastrozole developed breast cancer, while 85 women in the placebo group developed the disease. had a sister or mother who developed breast cancer before age 50 or developed breast cancer in both breasts. Anastrozole is a medication belonging to a group of drugs known as aromatase inhibitors. By inhibiting the production of estrogen (which can drive some breast cancers to develop), these drugs can lower breast cancers that are fueled by the hormone. Tamoxifen is currently used for this purpose, but the side effects”muscle pain, extreme fatigue and hot flashes”make that a difficult route for many women. Anastrozole’s side effects, according to the latest research, are minimal and only slightly higher than the placebo. Some men with premenopausal partners might find supplies of their erectile dysfunction medication mysteriously disappearing once the news of a new study spreads. Research uncovered that the main ingredient in Viagra (called sildenafil citrate) can help women who suffer with moderate to severe menstrual cramps. In preliminary findings, when Penn State College of Medicine researchers studied 25 women ages 18 through 35 who experienced menstrual cramps, they found the women who took the drug (as opposed to those who took the placebo) reported nearly double the pain relief. Many people are smoking this odor-free, green and “smokeless” electronic cigarette that is not regulated by the FDA, thinking it’s a safer, cleaner bet than traditional cigs since it’s not “real” tobacco smoke. And the people around them may also be lulled into complacency, believing they’re being spared from the dangers of second-hand smoke. Others may think that e-cigs are a helpful aid in smoking cessation. But is the surrounding environment really smoke-free? Not necessarily so, say researchers. Although it’s not real tobacco smoke, a new study finds that e-cigarettes can generate enough nicotine emissions (even though it is lower than that from tobacco smoke) to put people at risk for second-hand exposure. And if you smoke e-cigarettes, you shouldn’t necessarily feel sheltered from nicotine exposure: another recent study found that because e-cigarette smokers puff more often and tend to inhale more deeply than regular cigarette smokers, they may be inhaling even higher levels of nicotine than traditional smokers.